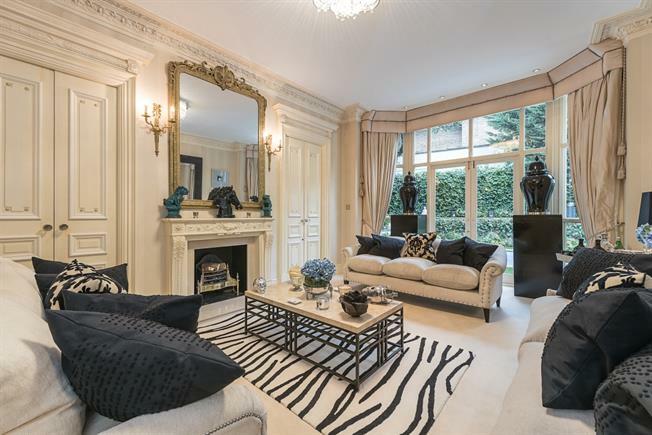 7 Bedroom House To Rent in London for £43,333 per Calendar Month (Calculated). A fabulous seven bedroom detached house to let. Finished to an exceptional standard and offering a blend of period features and contemporary styling. Located in the heart of Hampstead and offering close proximity to both Hampstead underground station and the open spaces of Hampstead Heath. The property comprises two receptions, a study, modern fitted kitchen, master bedroom with en suite, six further bedrooms and three further bathrooms (two en suite) and a family/tv room. The property also boasts a beautiful landscaped garden, heating swimming pool, patio area and off street parking. Offered furnished and available now.